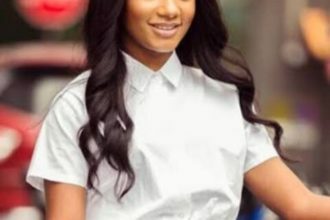 Temi Otedola- Meet The Leader of The "Pepper Dem Gang"
Model Temi Otedola, daughter of Billionaire Femi Otedola is in the news for a very hilarious reason. 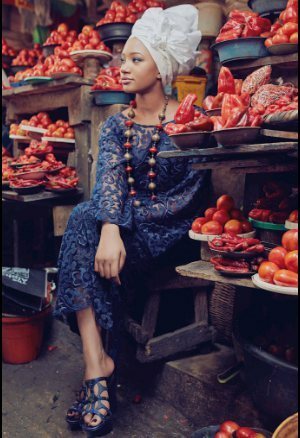 The fashion blogger shared a photo from what seems like a photo shoot and is pictured in a market all surrounded by pepper. Now you know how she got crowned queen of “Pepper Dem Gang”. She is rocking the traditional Iro and Buba with Gele. Nigerians sure have a way of captioning photos.